Anchor Books, 2014. 297 pages. Fiction. 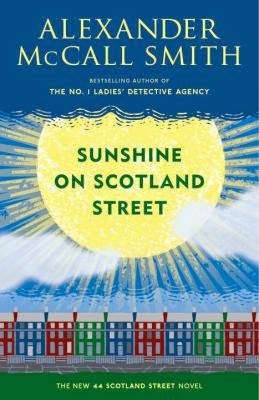 In the 8th book of McCall Smith's Scotland Street series, the author brings back his lovable cast of characters from Edinburgh for another look into the daily workings of Scotland. You'll meet up again with Bruce, who finds his dopopelganger; Matthew, who is being followed by a Danish cinematographer bent on producing a documentary about real people in Scotland; Angus and Domenica on the eve of their wedding; Irene and her faith in psychoanalysis; and Bertie, who still dreams of turning 18 and leaving his micromanaging mother for a life of adventure in far-off Glasgow. Situations change and hilarity ensues, but in the end all of them are still happy in Edinburgh, chasing their dreams. What I love most about the Scotland Street series (and, really, anything by Alexander McCall Smith) is that they are really in-depth character studies. To be honest, there is not much action in these books; there's never a pivotal climax or a thrilling moment where everything changes. What he presents is a study of people going about their lives, thinking their own, unique thoughts, and influencing their own small spheres. The writing is exceptionally witty and lends itself well to being slowly read and savored over a long period of time (the series, is, in fact, originally printed daily in The Scotsman as a serial story a la Dickens and then compiled into a book and published). By the end of the book, even though nothing of striking importance has occurred, the characters have become exceptionally real. I would expect to find every one of these characters in their present form if I went to Edinburgh.